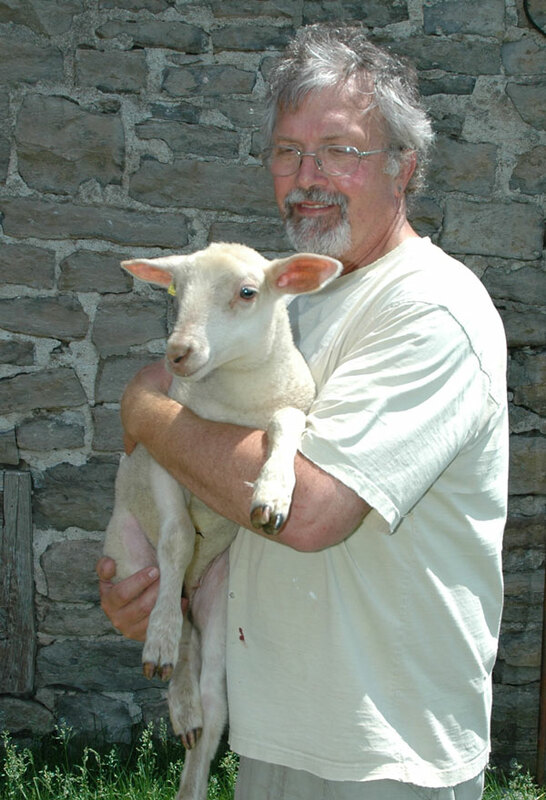 Cheesemaker Richard Garner says spring lambs have first dibs on the ewe's milk at Les brebis sur le toit bleu. Our timing was off but the visit last weekend to Les brebis sur le toit bleu (Sheep on the blue roof) was most enjoyable—and served to whet the appetite for a return later in the summer when cheese will be available. Les brebis sur le toit bleu produces only cheese made from sheep’s milk. Sheep do not lactate all year round. They lamb in March but Richard Garner doesn’t take any milk from his flock of 30 ewes until mid-May. By October, the ewes begin to dry out. By November, lactation is done for another season, and the rams are brought into play. The resulting gestation term is five months. And, thus, the cycle of life and cheese starts all over again. Richard made this season’s first cheese on May 14. After the obligatory aging of a minimum of 60 days, his cheese will first be available for purchase at the farm near Oxford Mills, Ontario, on July 18. By the end of July, it will be available at Byward Fruit Market in Ottawa, Jamie Kennedy’s Gilead Café & Bistro in Toronto, Gurth Pretty’s Cheese of Canada, and the farmer’s market in Kemptville a few kilometres from the farm. The farm dates back to the 1870s. Cheese is made in a small make room at the back of the house which has a blue roof. The name of the farm and business is a take on the title of a 1920s novel by Jean Cocteau. Richard and Sylvie Morel, his wife, purchased the farm 13 years ago and started making cheese one year later. He was a professional photographer in his earlier life. Sylvie, until her retirement last year, was director of exhibits of the fabulous Museum of Civilization in Ottawa. They have no plans to grow the business. For them, small isn’t just beautiful. It’s perfect. 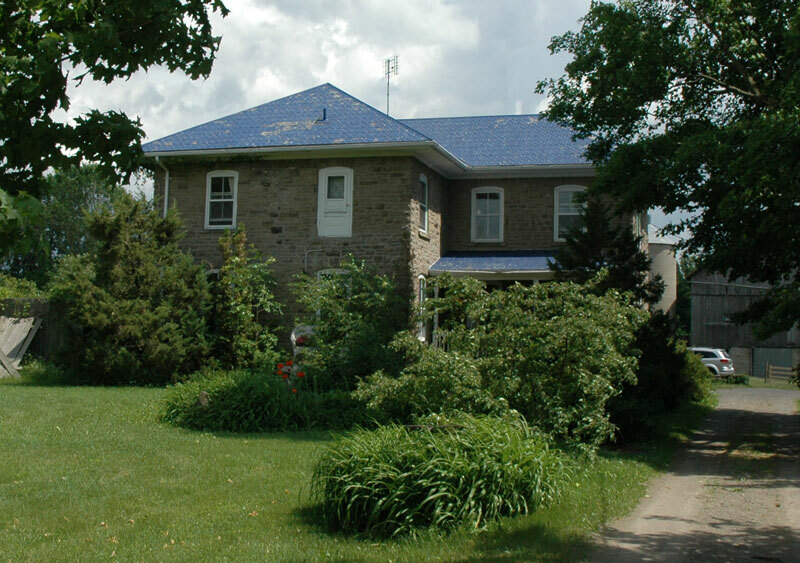 The roof is indeed blue at Les brebis sur le toit bleu near Oxford Mills, Ontario.